– behavior of an elderly person that threatens his or her personal health or safety. Self-neglect typically manifests in an elderly person as a refusal or failure to provide himself or herself with adequate food, water, clothing, shelter, personal hygiene, medication, and safety precautions. 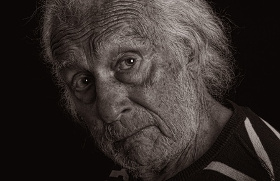 Important Note: This definition of self-neglect excludes a situation in which a mentally competent older person, who understands the consequences of his or her decisions, makes a conscious and voluntary decision to engage in acts that threaten his or her health or safety as a matter of personal choice.